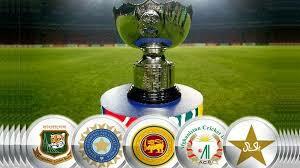 Dubai, The Asia Cup will be started in Dubai and the tickets of the match between Pak v India were sold. The additional tickets of the match between Pakistan vs India were presented and these additional tickets were also sold like hot cakes. The Asia Cup 2018 will be started in UAE from 15 September and the most interesting match will be played between Pakistan v India, which is scheduled on 19 September 2018. The tickets for this match were presented for sale one week before and they were sold within few hours. On the pressure of the cricket fans, more tickets were offered online yesterday and these additional tickets were also sold within few hours and the people coming from England and other countries were disappointed, who wanted to watch the match between India vs Pakistan in the Dubai Cricket stadium.